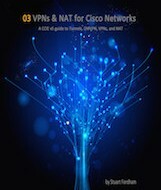 Buy BGP for Cisco Networks from Amazon and learn how to build a BGP network from the ground-up. The book builds an entire network and is not limited to small examples, unlike other books. It is a great way to learn how networks are built up over time. 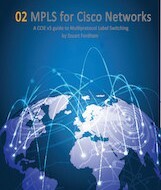 This is aimed at CCIE students but is also suitable for CCNA and CCNP level students. This is my first book and has been read all over the world. 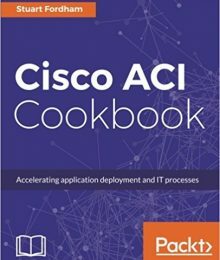 It started out as notes I made when studying for my CCIE, and I decided to take the plunge and publish a book on Kindle. I was surprised at how popular it quickly became, so I published in paperback as well. It continues to be very popular among readers and has encouraged me to write more. I do not believe in charging silly amounts for books, so the books I write are priced quite low. I have no overheads, I write because I enjoy doing so, and do not believe that price should be a factor when trying to learn. If this has whetted your appetite to learn BGP, whether for the CCIE, CCNP, CCNA or just to learn, then you can purchase it from Amazon. 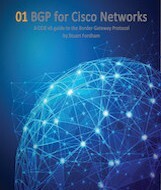 Chapter 3: In the paragraph that starts “BGP stands for Border Gateway Protocol” the line about the AS_PATH should read “the closest BGP has to a default metric is the AS_PATH”. The second mention of private addresses should read 64512 to 65535. I have corrected both errata in the later release.